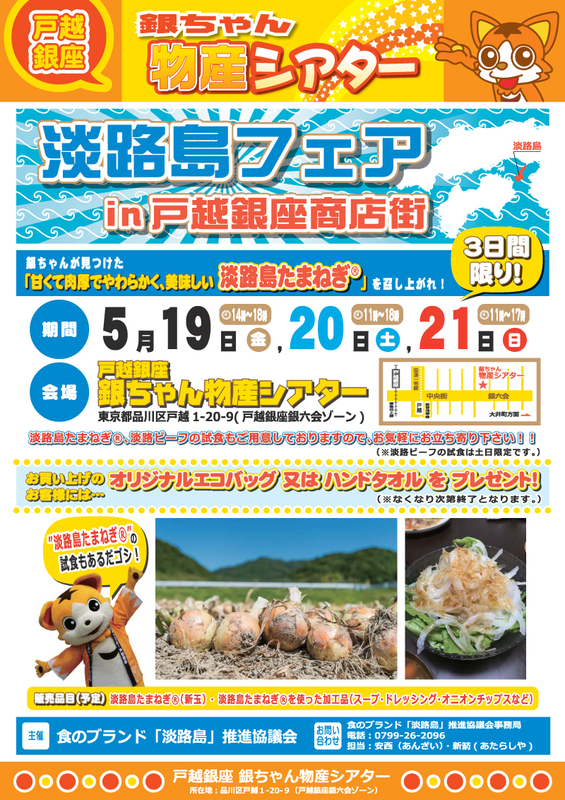 May 19 (Friday) to 21 days (Sunday), at silver-chan Bussan Theater, held a "Awaji Island Fair in Togoshiginza shopping street"! Awaji Island onion (R), So we also offer tasting of Awaji Island beef, please visit us feel free to! The warrants to the purchaser, will be presented the original eco-bag or hand towel. By all means at this opportunity, please come to the silver-chan Bussan Theater.